Which global ski pass is for you? 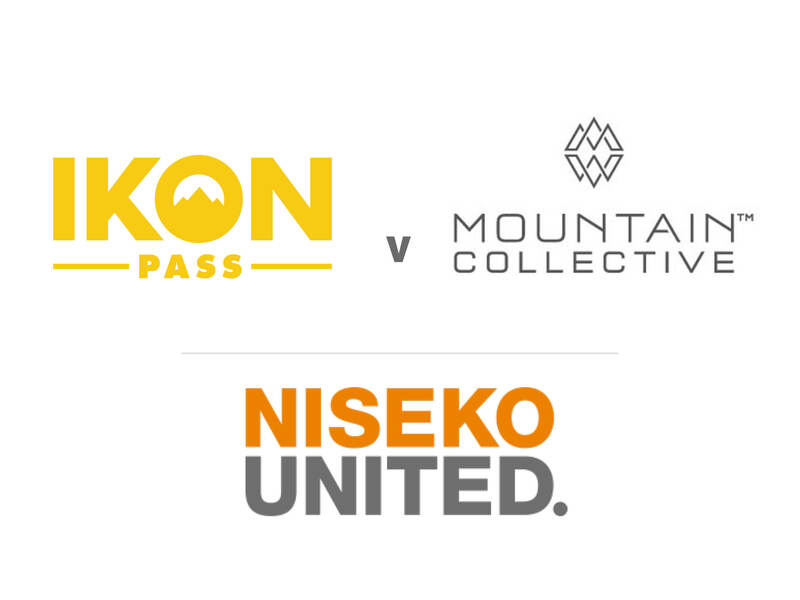 Niseko is now a full member of two global ski passes – Ikon Pass and the Mountain Collective pass – allowing you to ski dozens of resorts around the world in the same season and save thousands of dollars in lift tickets. The IKON pass offers unlimited days skiing at 14 US resorts + 7 days at a further 22 resorts around the world. The Mountain Collective pass offers two free days skiing at 17 resorts around the world + 50% off for further days. The main difference between the two is the number of included days at each resort. Ikon Pass offers unlimited days at a number of US resorts, and then five to seven days access to the remaining resorts on the pass. The Mountain Collective pass offers two days lift access at every resort on the pass, with heavily discounted additional days for those who want a longer stay. The big winners in this latest trend towards global ski passes are those based in the US, closely followed by their neighbours north of the border in Canada, as this is currently where the most participating resorts are. However, with Niseko United as a new inclusion on both passes, as well as the addition of resorts in Australia, New Zealand, Europe and South America, there are excellent benefits for skiers from all over, not just the USA. A new partner on the Ikon Pass this year, Niseko is now one of 38 ski destinations globally that are included on the pass. The Ikon Pass has two tiers – Ikon Pass and Ikon Base Pass – and is more suited to those who spend a lot of time skiing the East Coast of the USA but may want to do a few days here and there at other resorts across the globe. The Ikon Pass has no blackout dates, with unlimited days skiing at 14 destinations across the US, and 7 days included at the remaining 22 destinations across the USA, Canada, Australia, New Zealand and, of course, Niseko. The Ikon Base Pass is a cheaper option, due to having 10 blackout dates throughout December/January/February for the Northern Hemisphere and during July in the Southern Hemisphere resorts. It has 12 destinations with unlimited access and 5 days included at the remaining 24 destinations, including Niseko. Both the Ikon Pass and Ikon Base Pass include family and friends benefits and discounts. Learn more about the Ikon Pass and Ikon Base Pass here. Unlike the Ikon Passes, the Mountain Collective pass is a better option for those who like to travel a lot and experience a little bit of what every mountain has to offer. Previously an affiliate resort of the Mountain Collective, Niseko United is now a full partner resort meaning more discounts and benefits to pass holders skiing at Niseko United. As previously mentioned, the main difference between these two passes is that rather than offering unlimited access to any individual mountain, holders of the Mountain Collective pass will have two full days’ access, with no blackout dates, at each of the 17 included partner resorts across the USA, Canada, Australia, New Zealand and Niseko. Additional days at any resort will be discounted by 50%, meaning if you’re staying say, 5-7 days at one resort, the additional days discount can make this an overall cheaper option than just purchasing a standard lift pass for that time, especially if you factor in the additional discounts you can receive with accommodation, dining and retail partners. The Mountain Collective also has affiliate resorts in Chamonix, France, and Valle Nevado, Chile, where pass holders will receive additional benefits and discounts. Learn more about the Mountain Collective pass here. If you’re considering either of these passes and you plan on making a trip to Niseko over the coming season, Vacation Niseko have some great accommodation discounts on offer exclusively for holders of the IKON Pass and the Mountain Collective pass. Now that you have the low-down on each of the global ski-pass options that include Niseko you can decide which best suits your needs and start planning your snow travels! Take a look at the Niseko snow report now!